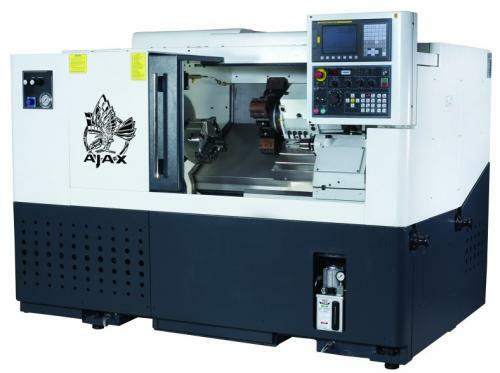 The Ajax Ace Slant bed Lathes are designed to be strong powerfull & reliable, with a top Fanuc 0i TD control, at an affordable price to help produce more and earn more. New models available with Y axis & sub spinde. Fitted with industry leading Fanuc 0i TD CNC control system giving ultimate control & reliabillity, this can be upgraded to the Manual Guide i version with fully conversational control and full 3D graphics to make eve the hardest job easy. Main Spindle Bore: 86mm Dia.